Converse beanie style hat with a pom pom on the top - very cool! 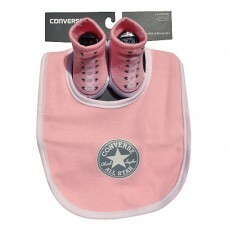 Has CONVERSE written all around the..
Converse baby girls 3 piece set, stripey leggings, long sleeve top and matching hat. Gorgeous! ..
Converse baby girls 2 piece set, Long sleeve top and matching hat. Gorgeous! 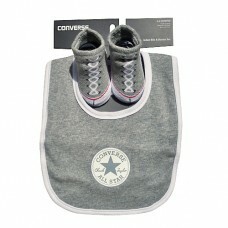 ..
Converse baby unisex set, comes on a hanger rather than a box (hence the lower price), with a ..
Converse baby unisex set, comes in a box, with a grey/white vest, hat and socks - with the Con..
Converse baby boys romper in red! 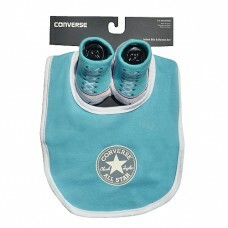 ..
Converse baby boys white romper! - just lovely! ..